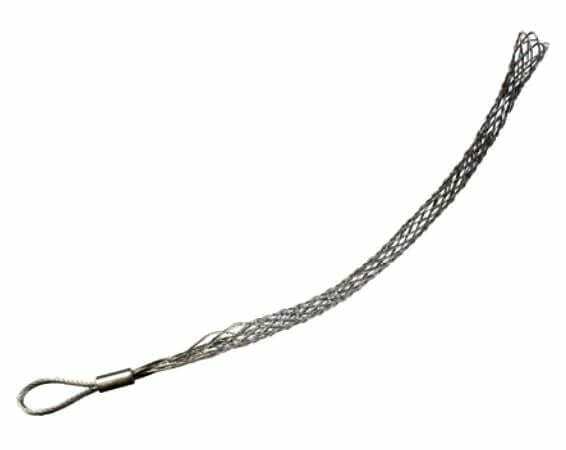 Simply by offsetting the eye, this type of light to mid-duty wire rope sock makes room for the unobstructed passage of cabling through its mesh work body. With various size and specifications available, our off set eye cable socks are supremely versatile and built to last. Single and double weave lattices are used across this range, allowing for breaking load limits of up to seven tonnes and lengths of almost a metre. You can also pick between galvanized offset eye socks or stainless steel equivalents, with the latter providing extra corrosion resistance at the cost of comparative strength. The specifications below are for the galvanized version. If you need the technical details for the stainless steel model then contact us via phone or email, details are listed below. We can provide further wire rope information, quotes and advice when you call 01384 78004 or email us. No question is too small and no order too large for our expert team to tackle, so get in touch with Rope Services Direct today! Off Set Eye Cable Socks Overall rating: 5 out of 5 based on 6 reviews.